One of the main reasons it has taken me so long to get this book done is that I have no fixed arrangements in my head. In traditional music, the written music is only a guide, and is open to individual interpretation. Generally when I play live, I vary the arrangement. I have the basic tune in my head and I add the accompaniment and ornamentation as I go along. I am always looking for new inspiration for performance, to keep the music fresh and interesting. Performances with other musicians, of course, require a more fixed approach. I listen to Gaelic singing, piping and fiddling, for inspiration in ornamentation. Also it is useful to listen to some of the current guitarists with Celtic bands to pick up ideas for chord progressions and rhythms. This is my first book of Scottish traditional music, arranged for lever harp. I first became interested in the harp after hearing Alain Stivell live in Glasgow in the early seventies. I was a bass player at that time and had been thinking about heading in a more traditional direction for quite a while. Finally I heard an early recording of Derek Bell with The Chieftains and that persuaded me to sell my bass and buy a small harp. My first instrument was made by Gildas Jaffrenou, and since then I have moved through a range of harps made by Derick Sanderson, Pilgrim Harps, and Triplett Harps. My main instruments over the past 30 years have been made by Jack Yule. I have mostly played light gauge gut strings, but the US climate has encouraged me to try carbon strings also. They feel thinner to touch but seem to be more stable and generally more appropriate for traditional music. This is in respect to playing solo however, and I would probably use gut strings if I were to play in a band like Ossian again, accompanying fiddle, pipes etc. When I play wire harp, I use the pads of my fingers as I do not have long nails. I do very little damping. 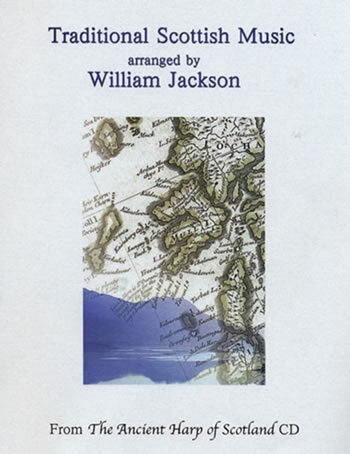 The tunes in this book may be heard on my CD The Ancient Harp of Scotland (1998, Mill Records MRCD 010). I would like to emphasize that my arrangements are not easy to pin down - no two performances of a piece would sound the same. This applies to the ornamentation, harmonies, chord inversions and rhythmic interpretation. These written arrangements represent my performances on the recording, as closely as possible. However, you may notice some differences. In some cases, the time signature used may differ from that generally used to notate a particular tune e.g. Roualeyn’s Plaid - this was done in order to represent as closely as possible my own interpretation of the piece. Also, in most cases, only the first repeat of the tune has been notated here. 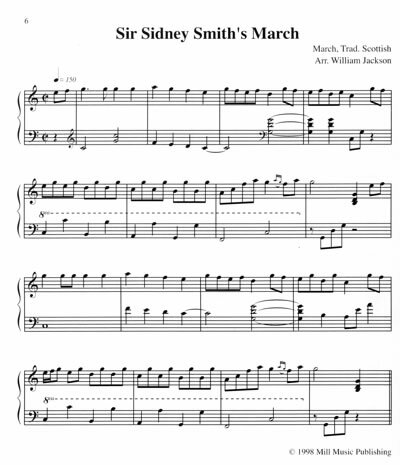 Ideas on how to vary the tune on the repeat can be heard on the CD, as well as the subtleties of phrasing and timing which cannot be notated precisely. These arrangements are not ‘definitive’ versions - this is simply the way I play and it changes over time. Please use these arrangements as a starting point for developing your own style. The slow airs in particular should be played very freely and are open to individual interpretation. The rhythm of these pieces is very flexible, and for this reason, they have been notated without a time signature or regular bar lines. My phrasing and interpretation is based on Gaelic singing. It is particularly important when learning these tunes to refer to the recorded version, as the notation is only an outline. Rolled chords have not been marked - you can use your own judgement. Work towards creating your own style, and above all, enjoy playing!